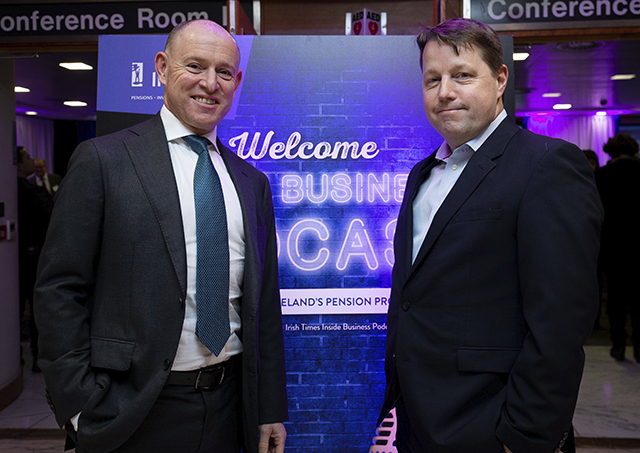 Irish Life are proud sponsors of The Irish Times weekly Inside Business Podcast and we hosted a live recording of the podcast. 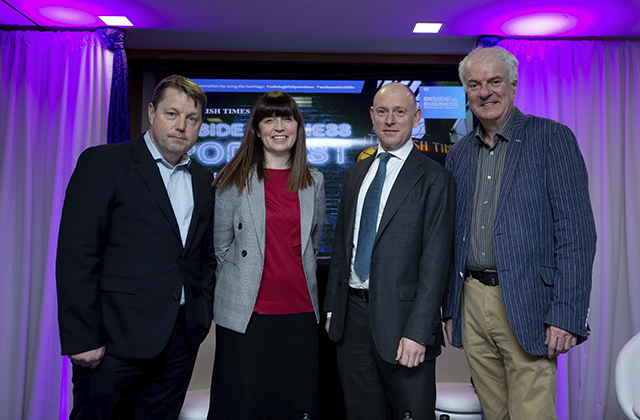 To debate this critically important topic, Ciarán Hancock was joined by Irish Life CEO David Harney, Dr Laura Bambrick of the Irish Congress of Trade Unions and Irish Times columnist Chris Johns. The podcast was recorded in front of a live audience at the Irish Life Building. Some call it the pensions time-bomb. In the private sector, under 40% of workers are covered by a pension. As our workforce ages, the problem of retirees lacking the funds they need will grow and grow. Most agree that the planned introduction of auto-enrolment, whereby workers automatically contribute to their own pension, is a good idea. But beyond that, there is much disagreement on how it should be implemented. Should it be mandatory or opt-out? Privately or publicly run? And should it replace or supplement the state pension? Listen to the Podcast here and scroll down to see images from the event. 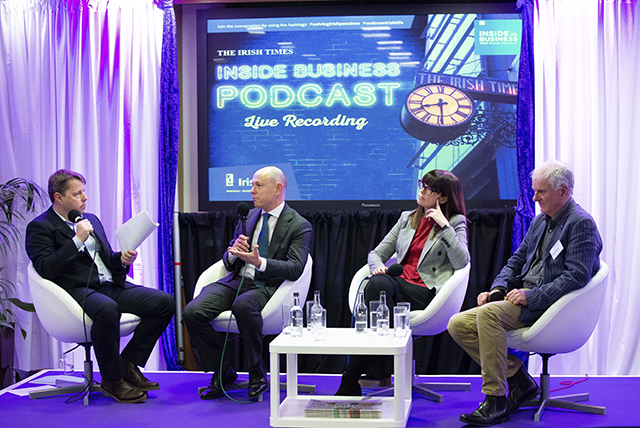 The Irish Times Business podcast panel discussion with Ciaran Hancock, David Harney, Dr Laura Bambrick and Chris Johns. Find out how Irish Life EMPOWER can help your business and your employees. We know your personal information is important to you, it is important to Irish Life too. Pension Planet Interactive gives you access to your pension plan information. The Irish Life EMPOWER app is your pension calculator on-the-go allowing you to take control of your pension. Pension Choice allows you to get a quotation based on a fixed pension or inflation protection plan.